There’s no place on Earth more enchanted than Disney. 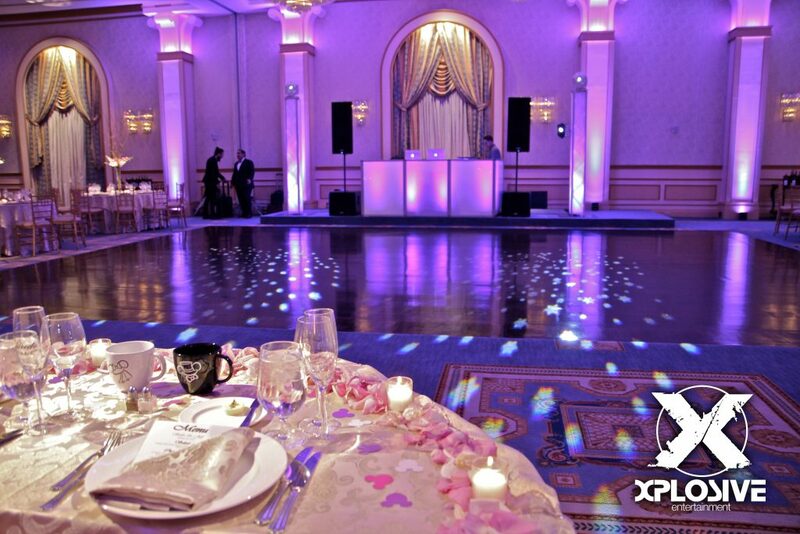 In addition, there is no brighter day in a couple’s life than their wedding. 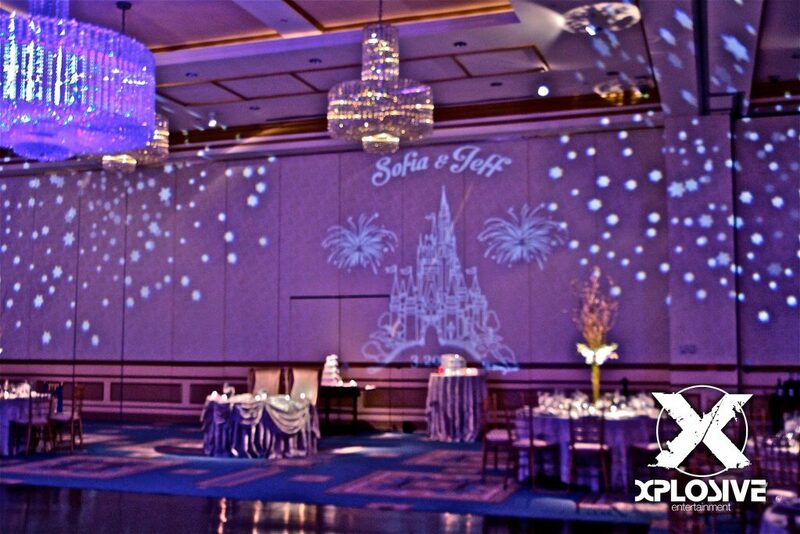 So, if getting married in Orlando, Florida is out of the question then we suggest bringing the magic of Disney to your wedding. 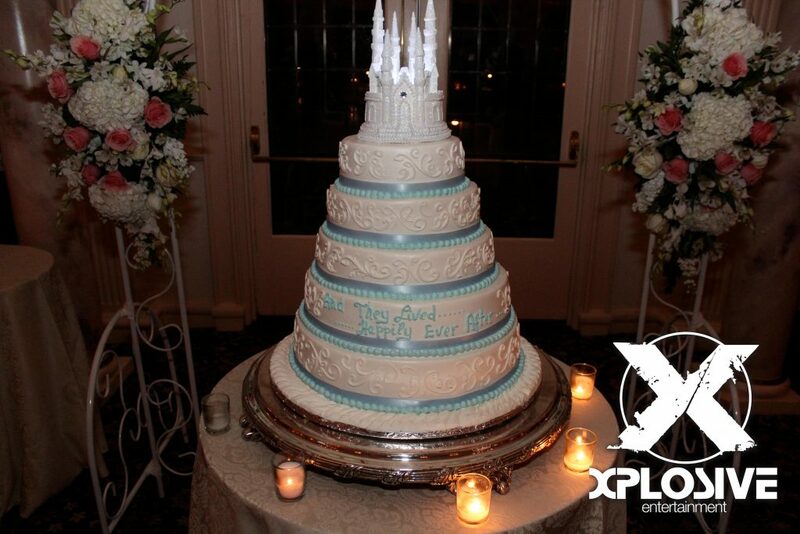 Xplosive Entertainment has had the recent pleasure to entertain at not one, but two Disney inspired wedding receptions. Each was incredibly different, unique, and personalized within it’s own rights. 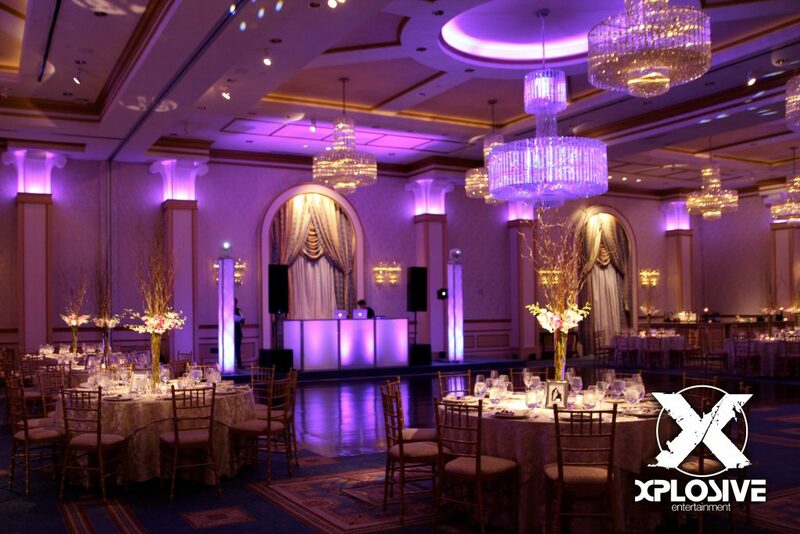 With simple detailed efforts, your fairytale wedding day vision can come true. 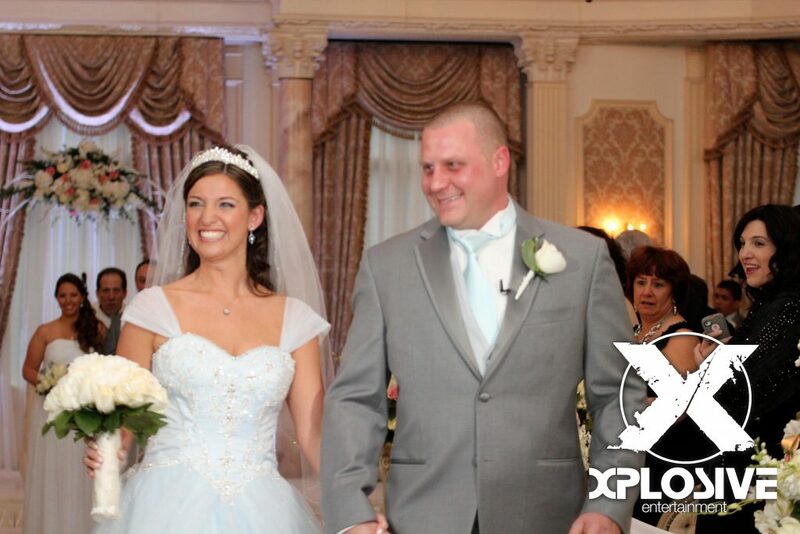 Jessica and Freddie chose to get married in West Orange, New Jersey at the Pleasantdale Chateau, a picturesque mansion set within beautifully landscaped grounds. Jessica wore a Cinderella styled dress with hints of baby blue. 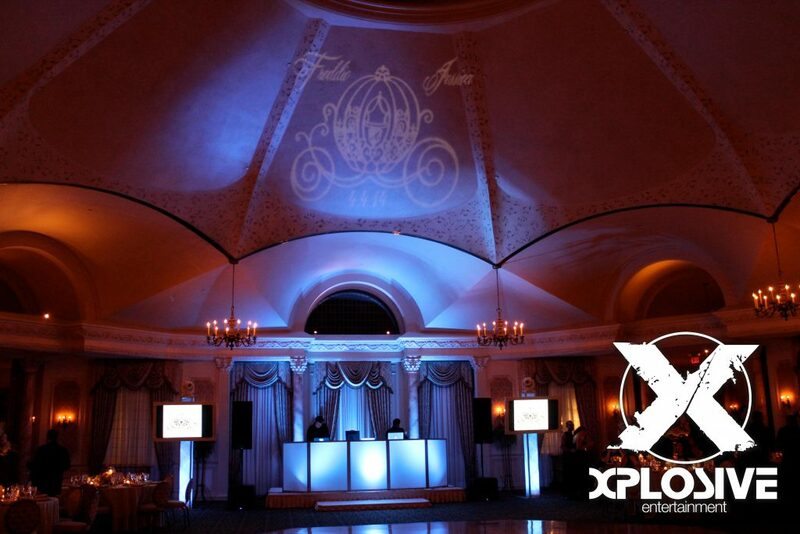 Within the ballroom’s dome ceiling a custom monogram gobo designed as a Cinderella’s Enchanted Carriage complete with Jessica and Freddie’s names and dates set the tone. 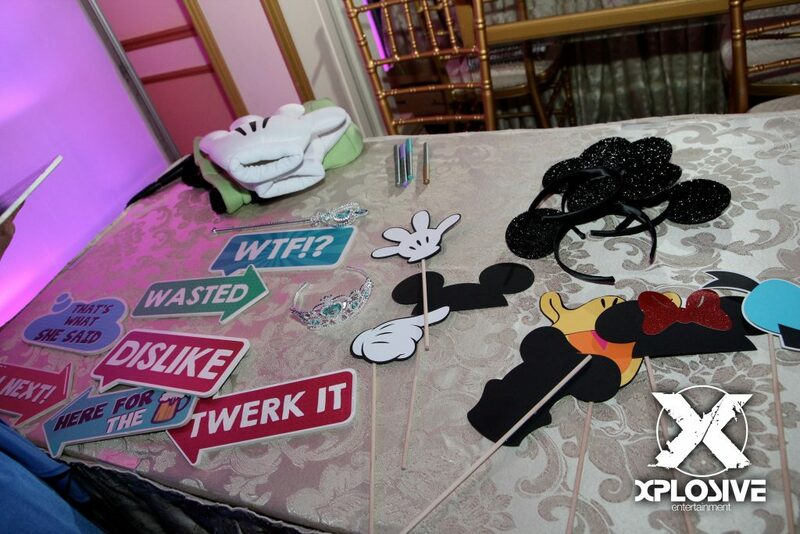 Their photo booth which was a custom Xplosive Entertainment piece was surrounded with white tufted leather and along side you found authentic Disney props. When Jessica and Freddie were introduced into their reception, a Disney video played on the screens with Jimmney Cricket singing “When you wish upon a Star,” Bright just prior to the newly weds walking down the steps. 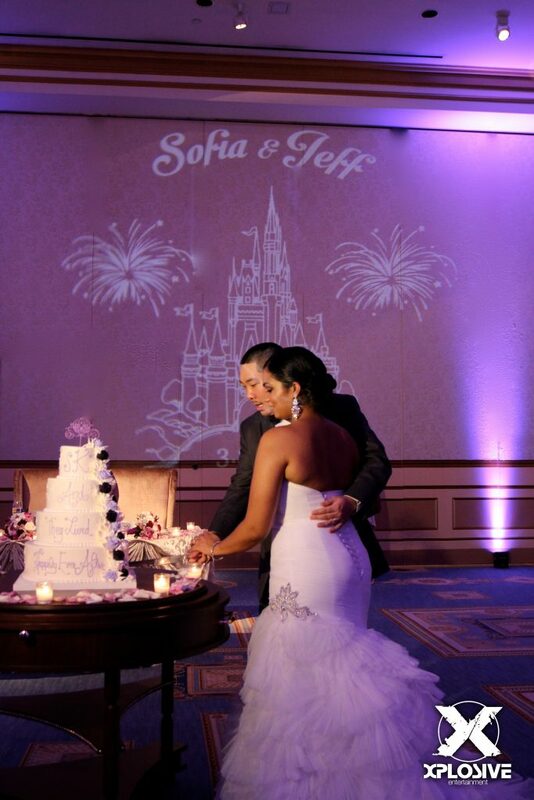 Sofia and Jeff were the second Xplosive couple to request a Disney inspired wedding. 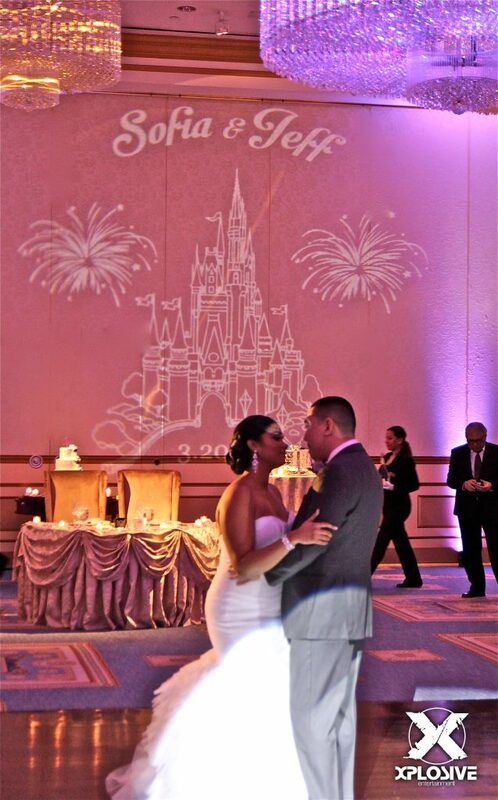 They too had a custom gobo, but in their case, shining on the wall at the Grove (Cedar Grove, NJ) just behind the bride and groom’s sweet heart table was the Magic Kingdom’s castle. 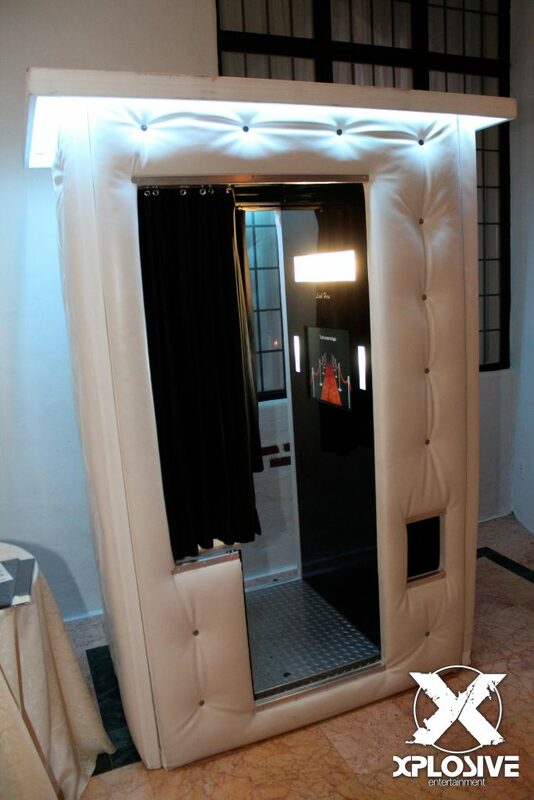 They also elected for custom photo booth props. 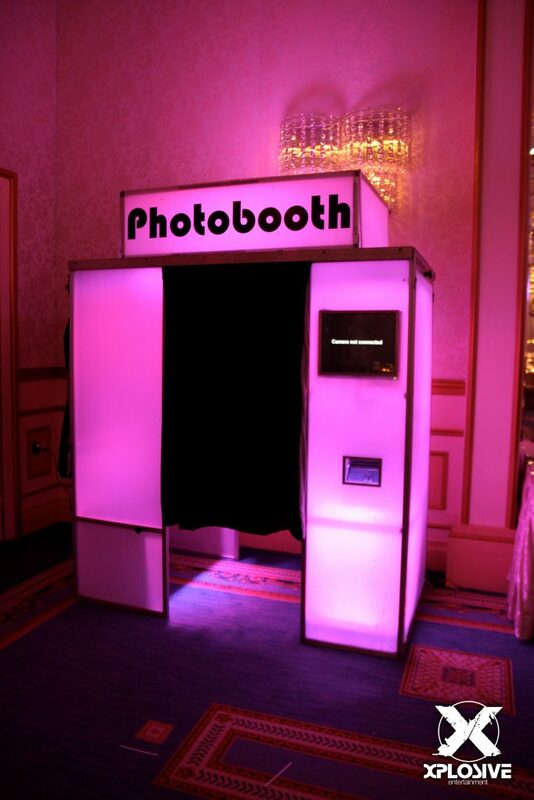 Sofia and Jeff went with a purple color scheme, so Xplosive Entertainment’s LED photo booth was shining with a bright purple hue to match the room’s ceiling inlays. 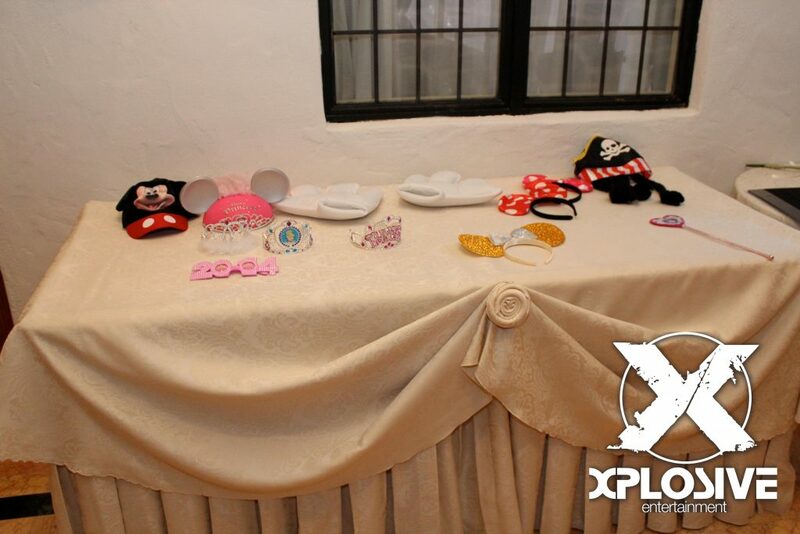 Sofia’s vision included Disney instrumental songs played throughout the cocktail hour. 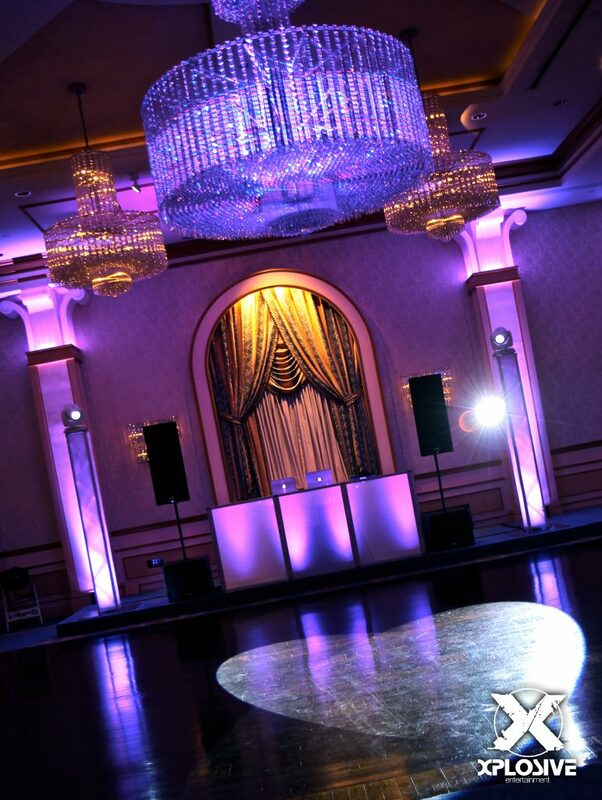 Both the Grove, located in Cedar Grove, NJ and the Pleasantdale Chateau, in West Orange consistently win accolades as top wedding venues within New Jersey. 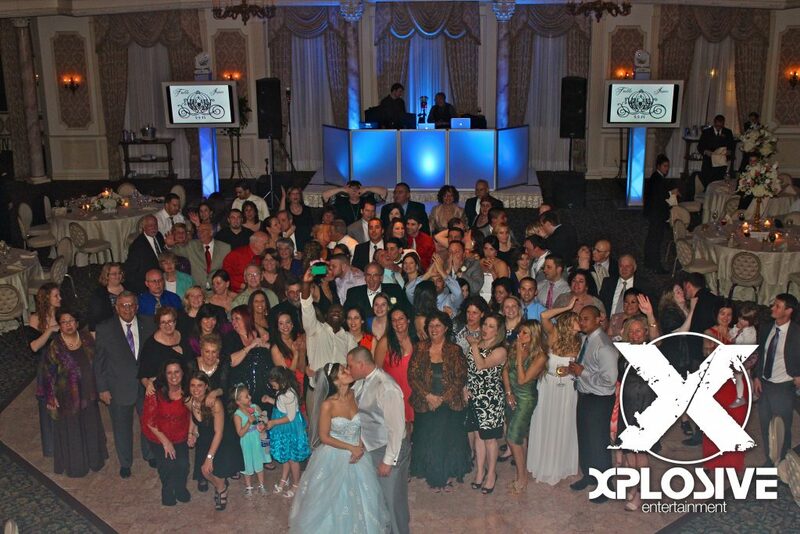 Xplosive Entertainment was proud to be part of both these fun, trendsetting, and most importantly personalized wedding celebrations.